Re: Have you met a Celebrity? Has anyone ever met any of the Twilight actors? I didnt read all of the posts on here, so maybe you already mentioned it. I'd LOVE to meet Kristen! I met seth green once. Well I was at comic con and me and my friend were just walking by and we look to our right and low and behold! It's seth green! So we got in line, got his autograph and a good handshake. It was pretty cool. As for the twilight cast I have only seen them in Hall H. However, i did get to meet Stephenie and her book signing in cali! That was fun! 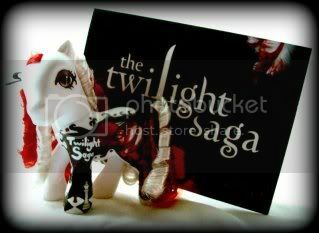 Search at eBay for "Saga the Twilight Pony" or "150387073926"
I would love to meet all of the Twilight cast of course, especially Rob and Kris. I met Kellan, Christian, and Chaske this past weekend (and is now facing a withdrawl from the engery that was at the mall over the weekend), I also met Kalan Porter, Brian Melo, Jaydee Bixby, and Carly Rae Jepsen from Canadian Idol at two seperate concerts. I've met two bands: Alesana and Forever the Sickest Kids. I've also met Camille Winbush and Allen Evangelista from The Secret Life of the American Teenager. Both of them were incredibly sweet. TwilightRose1 wrote: Has anyone ever met any of the Twilight actors? I didnt read all of the posts on here, so maybe you already mentioned it. I'd LOVE to meet Kristen! I am not sure if I mentioned it on this thread or not, but in August I got to meet PETER FACINELLI!!! It was AMAZING and he was soooooooooo nice! I met Hanson back in September . These violent delights have violent ends. And in their triumph die, like fire and powder, which as they kiss, consume. I've met numerous bands (most are British, and I'm not doubting that some of you will know them, just that if you're going WHO? that's why). 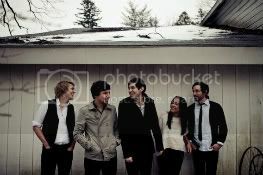 Numerous times; You Me At Six, The Blackout, My Passion. Once; All Time Low, The Friday Night Boys, The Audition.